Reagan Arthur Books, 9780316097772, 304pp. Addy Hanlon has always been Beth Cassidy's best friend and trusted lieutenant. Beth calls the shots and Addy carries them out, a long-established order of things that has brought them to the pinnacle of their high-school careers. Now they're seniors who rule the intensely competitive cheer squad, feared and followed by the other girls -- until the young new coach arrives. Cool and commanding, an emissary from the adult world just beyond their reach, Coach Colette French draws Addy and the other cheerleaders into her life. Only Beth, unsettled by the new regime, remains outside Coach's golden circle, waging a subtle but vicious campaign to regain her position as "top girl" -- both with the team and with Addy herself. Then a suicide focuses a police investigation on Coach and her squad. After the first wave of shock and grief, Addy tries to uncover the truth behind the death -- and learns that the boundary between loyalty and love can be dangerous terrain. The raw passions of girlhood are brought to life in this taut, unflinching exploration of friendship, ambition, and power. Award-winning novelist Megan Abbott, writing with what Tom Perrotta has hailed as "total authority and an almost desperate intensity," provides a harrowing glimpse into the dark heart of the all-American girl. 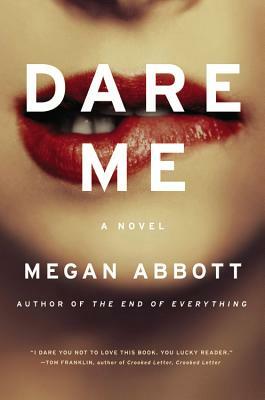 Megan Abbott is the Edgar Award-winning author of five previous novels. She received her Ph.D. in literature from New York University and has taught literature, writing, and film at NYU, the New School, and SUNY-Oswego. She lives in New York City.